(July 25, 2011 - Bathurst, NB) - A Bathurst mother who lost her son in the Boys in Red tragedy is calling the President of Dream Street Pictures, a New Brunswick film company that is making a movie about the Phantoms basketball team, an "opportunist who is exploiting the death of seven boys for profit." Isabelle Hains 17 year-old son Daniel was one of seven teenaged boys who lost his life in a 15- passenger van collision near Bathurst, New Brunswick on January 12, 2008. Since her son's death Mrs. Hains has become a leading national advocate for student transportation safety and has led a campaign to change the way students are transported to extra-curricular activities across Canada. She is currently working with Transport Canada and the Canadian Standards Association on a regulatory process that will eventually lead to a new alternative to replace 15-passenger vans for school use. Hains said it is ironic that Dream Street's announcement comes days before Transport Canada releases the preliminary results of a long-awaited 15-passenger van safety review. 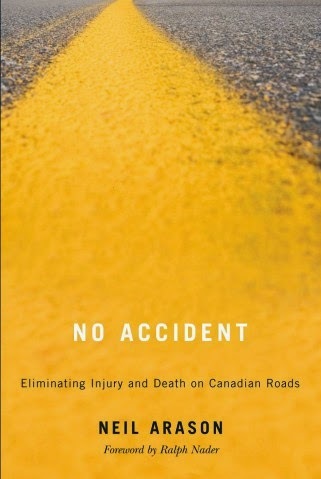 The review came out of the 2009 Coroners Inquest into the Bathurst tragedy which called for a complete ban on 15 passenger vans for school transportation. "We have been working very hard with Transport Canada over the past year to come up with a safe alternative to 15-passenger vans and we're expecting some significant changes in student transportation to be coming down the pipeline fairly soon," Hains said. "So to hear about this movie and the taxpayers money that's being sunk into it by both CBC - which is federally funded - and the province of NB is like a slap in the face." 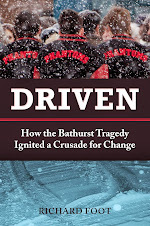 Hains is furious that the province of New Brunswick has given financial support to a film that she says "capitalizes on the death her son and six other boys from the Bathurst High School Phantoms basketball team." "This is the same provincial government that endangers children's lives when it says it can't afford to pay for Class 2 licensed school bus drivers to drive students to and from extra-curricular events. Yet it managed to find up to $250,000 to invest in a film that exploits our children's deaths. The hypocrisy of the politicians and the government bureaucrats on this file is simply beyond belief. How are they going to explain away the inconsistencies in their approach to doling out tax payers money?" she asks. Dream Street Pictures announced Thursday that it will be producing a television movie with CBC on the Boys in Red tragedy called "The Phantoms". The New Brunswick government is supporting the film with a tax credit that will reduce the filmmakers' cost of working in the province while increasing the production company's profit. "Dream Street could potentially receive up to $250,000 from the province of New Brunswick through the tax credit, and that's not including all the other services from the province that it will likely tap into, including the use of Bathurst High School's gymnasium which will require the permission of the Department of Education," Hains explained. Hains said the announcement caught her off guard because she believed the production had been shelved after speaking with Dream Street President Tim Hogan last year. She advises people not to be fooled by the spin in Dream Street's press releases. "Dream Street Pictures is not making this movie out of a sense of altruism towards any of the victims or out of a concern for economic development in northern New Brunswick. Its only motivation is to profit from the misery we have suffered since our children were killed." Hains says Tim Hogan, the President of Dream Street Pictures, can say all he wants that the film is not about the death of the Boys in Red but "the reality is that without our sons' deaths there is no story."